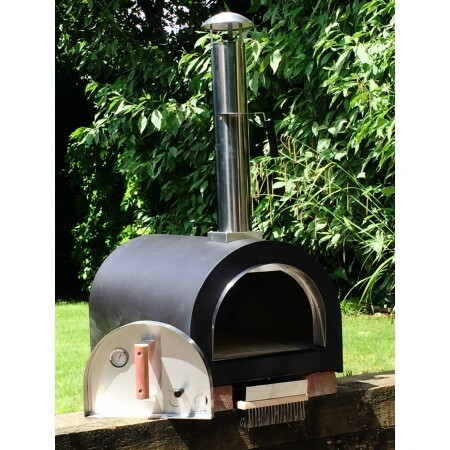 This listing is for the extremely popular and well reviewed Dome Pizza oven without the stand (the version with stand is also sold on our site). This unit is designed to be sat on a non-combustible base. We have had many people make brick bases or incorporate the oven into an outdoor kitchen set up. Cove's 65kg Dome is the ultimate universal outdoor accessory that allows you to authentically stone bake Italian style pizzas along with many other foods. The stone base and insulated stainless steel dome create a unique cooking experience that cannot be replicated in a conventional oven. This design makes it possible to cook a pizza in under 2 minutes. The Dome is of the highest quality and has a triple layered oven to retain as much heat as possible in the oven. Inside the oven is a 0.9mm 201 stainless steel skin that is easy to clean. Sandwiched between layers 1 and 3 is a fire retardant insulation blanket that helps to retain the heat in the oven. This is so effective that even when the oven is hot, the outside is still only warm to the touch. Then there is the outside steel shell that is painted in black. The thick stone base also has a layer of insulation below it making the base cool to touch. 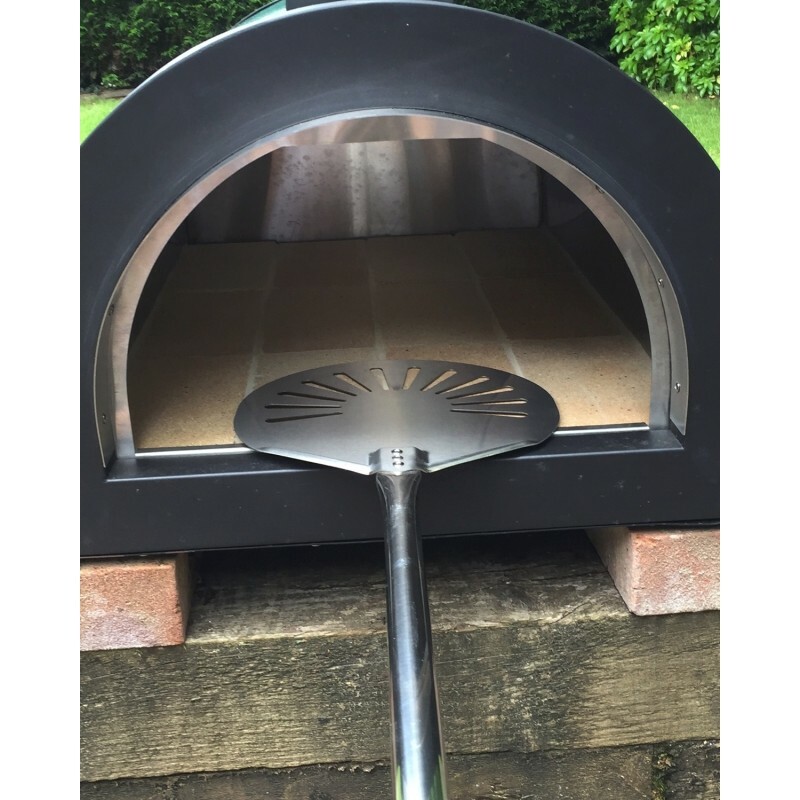 The oven itself is 700mm deep x 400mm wide x 280mm high and can fit a sizeable pizza or any meal you fancy cooking in the oven - its uses are endless. 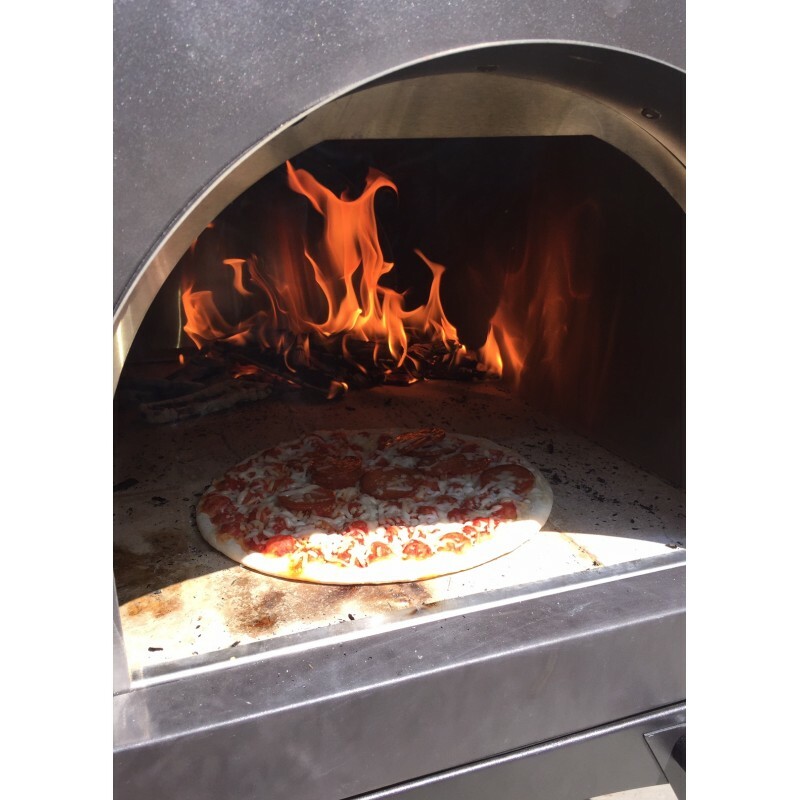 The advantage of having the stone base is that the heat stored in these stones is transferred directly through the pizza or dish that is sat directly on it. The oven will retain the heat for hours and is perfect for cooking other dishes including lasagne and casseroles. Members of staff who have this model in their gardens have had the oven at a constant temperature of 200 degrees on one load of fuel for over 3 hours. 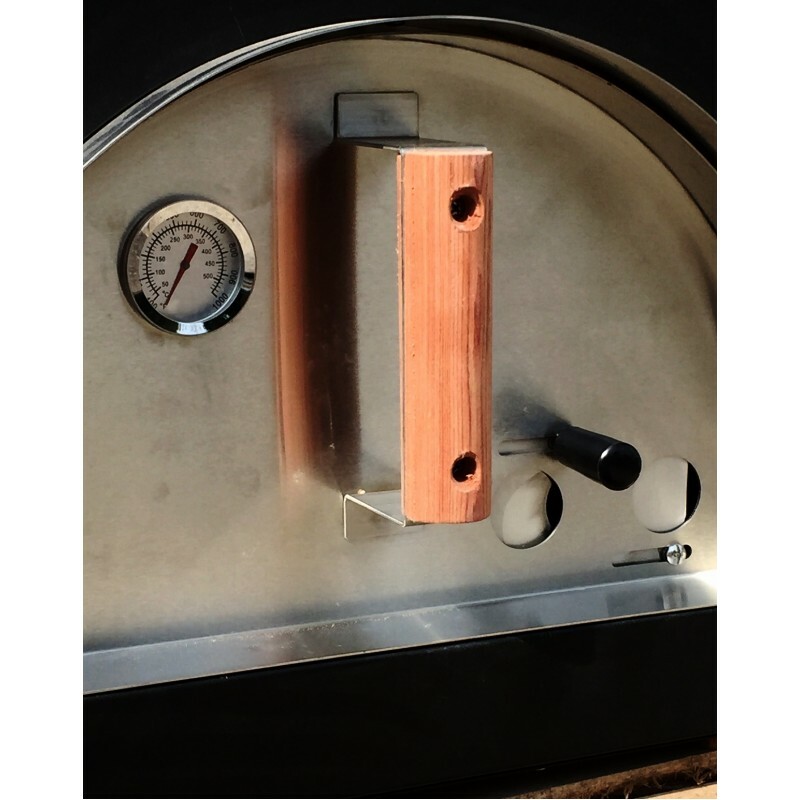 PLEASE READ - The Dome outdoor pizza oven comes with a temperature gauge above the top oven. We have found this sometimes "smokes up" and gets difficult to read. We are asking people to keep this in mind before buying and not rely too heavily on this gauge - we suggest a hand held temperature gun like this one on eBay - they are a lot more accurate and reliable. 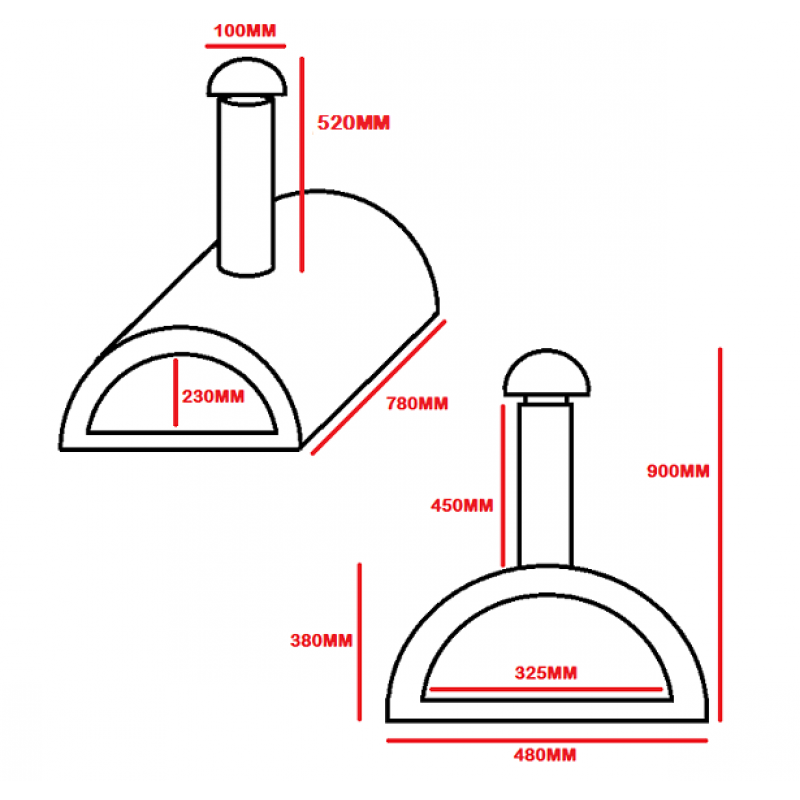 Please note that this is the price for delivery of Dome (No stand) Outdoor Stainless Steel Stone Base Pizza Oven, Garden Oven, Smoker, BBQ only. The final amount might change depending on the contents of your shopping bag when you check out.